This series jumps into the lives of title winning titans, both riders and staff, to give you an understanding of the characters behind the scenes of a World Cup DH racing team. So, sit back, relax, and enjoy the success story that is The YT Mob’s Race to the Top. At the recently completed US National Championships in Snowshoe West Virginia, Neko Mulally walked away victorious claiming his 3rd national title. This year the conditions were bizarrely dry but that was of no concern to Neko, who completed a smooth and calculated run to take the title. The 25-year-old was a popular winner and there is little doubt that support from family and friends is the backbone to the American’s confidence on track; they’ve been there for him at every possible step of his journey in this sport. His brother Logan especially has stood shoulder to shoulder with Neko, and has watched him develop into who he is today: “I’d be at the BMX races hanging out and playing in the dirt with my friends and he would always just be sitting there at the gate on his bike thinking about what he needed to do, and he’s literally always been like that,” said Logan. In 2015, Neko had a hard time, unable to race due to injuries, but this guy isn’t one to sit around idly twiddling his thumbs, and so began the creation of Windrock Bike Park. In the past Neko, who now lives in Brevard, North Carolina, has shown maturity beyond his years by organizing downhill events such as The DH South East Series and a Pro GRT. This gave him the vision to see 72,000 acres of beautiful Tennessean landscape for what it was, a perfect opportunity to help cultivate something special for the local cycling community. Now Windrock is one of the most popular trail centers in the country, and thousands of eager bikers get themselves down and ready to better themselves on two wheels, and it’s all down to Neko’s vision. Neko brings so much to the world of mountain biking beyond his racing; “I used to want to be a World Champion or win the race, now I’m just finding a lot of pleasure in the process and just being better than I was the last time I raced. Downhill biking down a mountain is such a fine edge of as fast as you can go, and too fast and crash, and to win the race you have to be spot on,” said the man from The YT Mob. ANGEL SUAREZ SCORES CAREER BEST RESULT AT THE VALLNORD WORLD CUP. Round 5 of the Mercedes Benz UCI Mountain Bike World Cup arrived in the Pyrenees this week, to the steep and fast track of Vallnord, for the 5th round of the 2018 series. The YT Mob was missing its lead rider, Aaron Gwin, who is busy recovering from his thumb injury back home in California. This meant the team mates Neko Mulally and Angel Suarez were front and center for this week’s event. After both qualified solidly in 27th and 28th place yesterday, it came down to a fast and dry track here on Sunday, and for one rider, it was a dream run, and for the other, it was disappointment after a crash late in his run. AARON GWIN STAYS IN THE HUNT DESPITE REINJURING THUMB, NEKO MULALLY TOP 20. After just rolling out of the start house yesterday in qualifying and not completing his run, it was clear that the slide out crash which reinjured Aaron’s thumb was going to be the question mark over the 5 Time World Cup Champion coming into today’s race. After getting some training runs in today Aaron decided to give it a go and do what he could to stem the point loss. Impressively he finished 31st today after man handling the bike down the steepest and most technical track of the season, using his legs in places to press against the frame and relieve the pain and pressure from the thumb, it was a champion’s ride, and he now sits in 4th place overall, just 10 points from 2nd. Angel Suarez trains in Lousa, Portugal to get used to the terrain of Val Di Sole, which is the next round of the UCI World Cup. This series jumps into the lives of title winning titans, both riders and staff, to give you an understanding of the characters behind the scenes of a World Cup DH racing team. 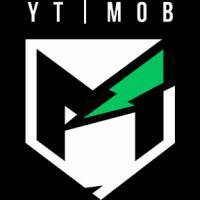 So, sit back, relax, and enjoy the success story that is The YT Mob’s Race to the Top. The YT Mob’s most promising prospect is Angel Suarez; he epitomizes the very meaning of young and talented with his fearless approach to downhill racing. The speed daemon has been a master on two wheels since he was small, ripping up the Spanish motocross scene 8 years ago and even making it to the heights of National Champion. Sadly, he wasn’t able to continue on that path, however motocross’ loss was Downhill racing’s gain, as he switched to the pedal sport and found success with his unique style. Due his time sat just above an engine the 22-year-old has gained quite a few transferrable skills; he’s completely at home when it comes to sending it big and he cruises through loose dirt in a seemingly effortless motion, as well being utterly fearless when tackling tricky terrain. The Spaniard comes from Vigo, in the north-west of the country and loves spending time with his family and girlfriend, who are always there to offer him their loyal support. In his spare time he still loves to take his motocross bike out and about, but it will come as no surprise that his favorite past time is going out and shredding his YT it with his mates at a local uplift: “What I always say with my friends is ‘somos bici’ (we are bicycle), and that doesn’t mean it’s the most important thing in our lives, but it’s the thing we love to do, and we need to do to be good and happy,” said Suarez. Being involved in high speed, high risk sports has meant that Suarez has picked up injuries a little more severe than the occasional grazes. However, for someone who has probably broken more bones than Wile E. Coyote he takes it like a champ, and is always raring to get back in the saddle with a smile on his face: “I feel like I’m the same guy I was before my injuries so that’s the most important thing, I don’t think about it when I’m riding, so I’m just riding my bike and trying to enjoy it,” he stated. Besides securing a brilliant top 20 finish in Lenzerheide, Switzerland in 2015 the youngster didn’t have the best of luck in his first two professional seasons of racing due to crashes, and had a year off to go through surgery twice. Regardless of his trials and tribulations Suarez knows that such problems are just part of racing, and in April he showed true determination and class at the opening round of the UCI Downhill World Cup in Croatia. It was there that he proved that he has the pace, by qualifying 26th to go through to the final alongside both of his more experienced team mates. Suarez is always up for a laugh and a joke, but don’t be fooled by his calm exterior, underneath there is a driven and determined competitor with a great future in the sport he loves so much. AARON GWIN TAKES IMPRESSIVE 2ND PLACE IN LEOGANG WITH INJURED HANDFollowing his over the bars crash due to a loose rock on course in Fort William last week, Aaron Gwin has been nursing a painful left thumb that’d been dislocated. It was giving Aaron a lot of grief in the first session of training here in Leogang earlier in the week, so much so that he was doubtful as to whether he’d even be able to race today’s final. Thanks to some injury management and a smart use of track time, by the 2nd half of his qualifying run yesterday Aaron was able to see that he did indeed have a solid chance for today’s race. AARON GWIN TAKES 20TH PLACE DESPITE CRASH, RETAINS SERIES LEADDespite a great start to his finals run here in Fort William yesterday, Aaron Gwin had an uncharacteristic over the handlebar crash in a section of the track that took out his team mate, Angel Suarez, nearly an hour earlier. Despite the warm and sunny conditions, some sections of the track were still suffering from high levels of moisture and low levels of grip, thanks to heavy overnight storms.